Newly launched lip gloss with real flower. Double layer of lip gloss. Natural color on the top layer and bottom layer will change color according to your body temperature. The higher the PH value, the vivider of the pink. A set of 4 Crystal lipsticks and a free necklace. They come in an elegant box that's perfect for gifting! 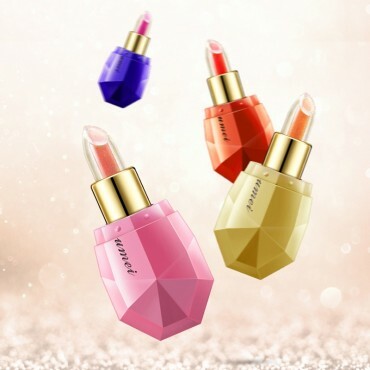 Crystal lipsticks have a clear outer layer which moisturizes and provides a natural shine. 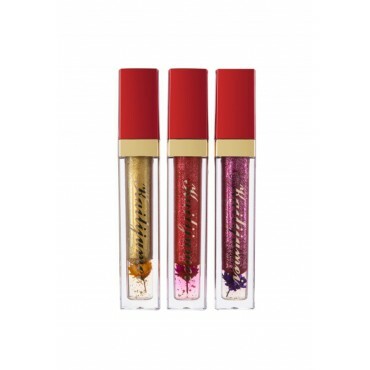 The inner layer is full of pigment and glitter to give your lips a pop of color. The four shades are made to suit every skin tone and will adjust slightly depending on PH. 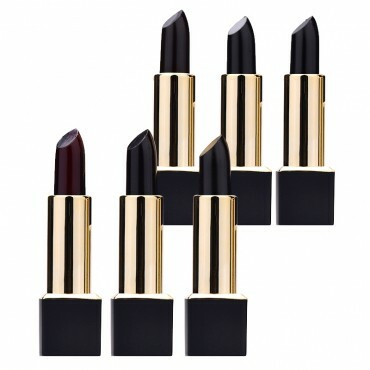 Color Changing Lipstick gives you moisture and magical experience!